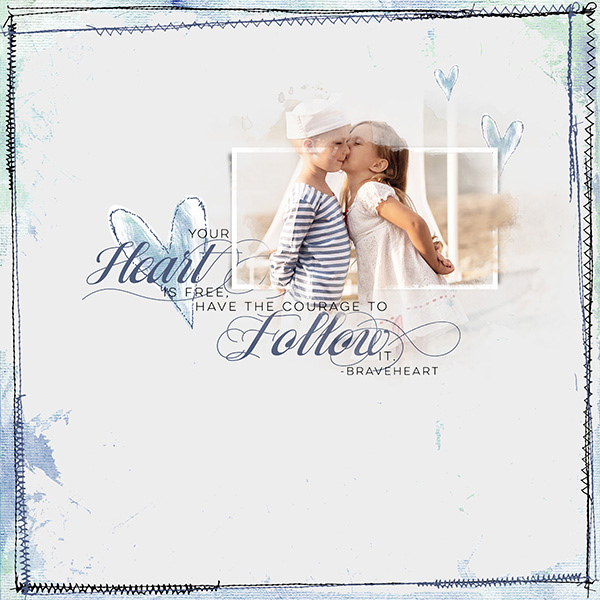 Create beautifully blended layouts easily with these pretty embellishment templates just ready to create a coordinated masterpeice! 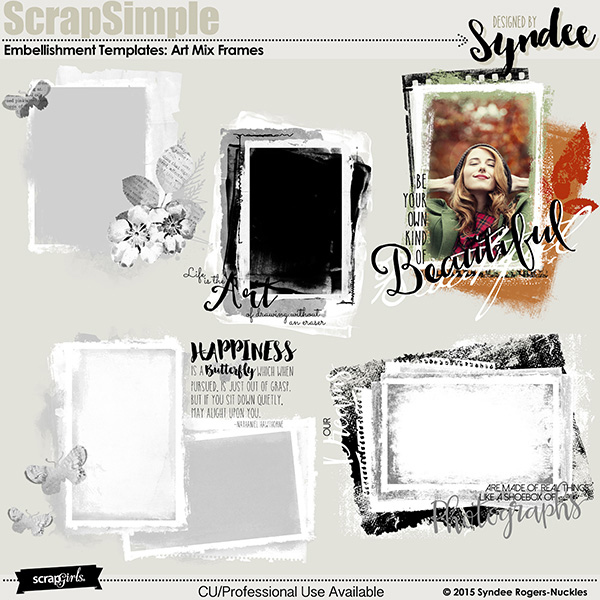 Create art journal, grungy, painted, or pretty layouts and projects with these unique designs. Flowers, leaves, ribbon, butterfly, chevron, hearts and so much more in PNG and some in layered PSD file formats. Part of the October 2015 ScrapSimple Club. 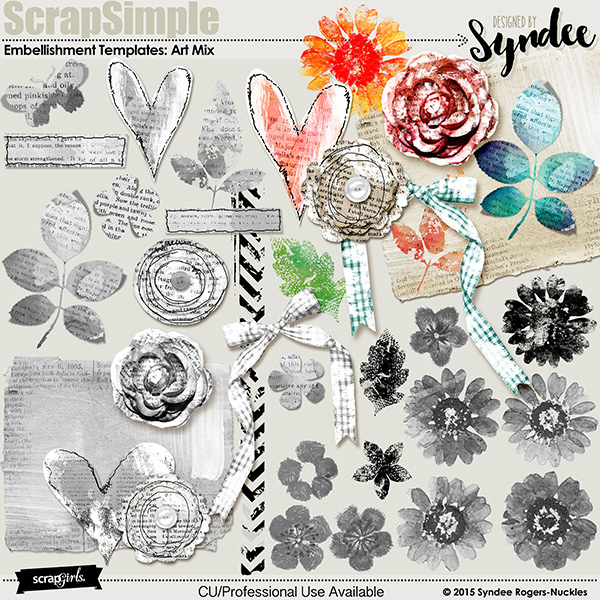 Take a walk on the artsy side with this eclectic mix of embellishment templates just ready to create a coordinated masterpeice! Being creative is easy with these unique painted frames and masks! 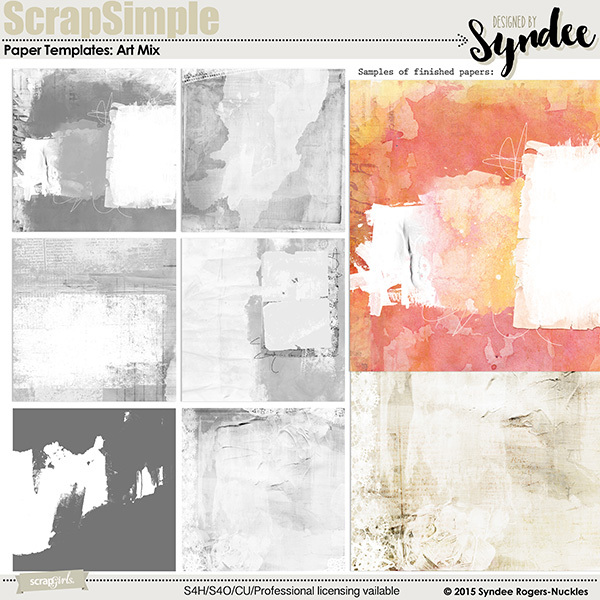 Create beaufully blended, texured or collage style papers and backgrounds with this set of digital paper templates! 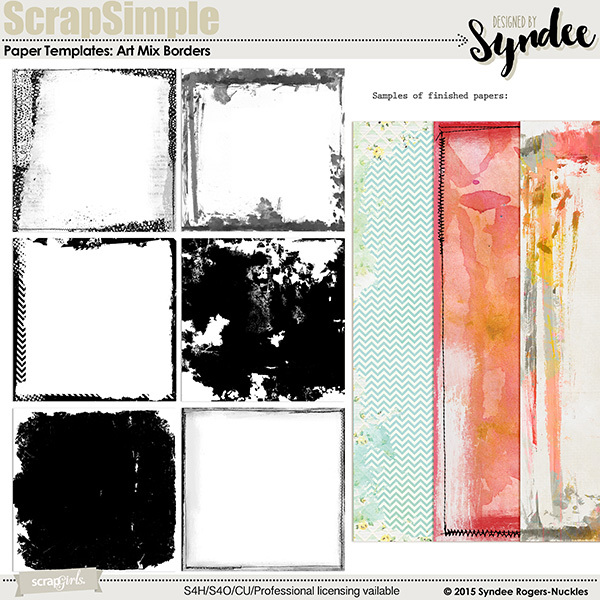 Create papers and backgrounds with borders and overlays with this set of digital paper templates! Add a watercolor craft paper look with the click of a button! 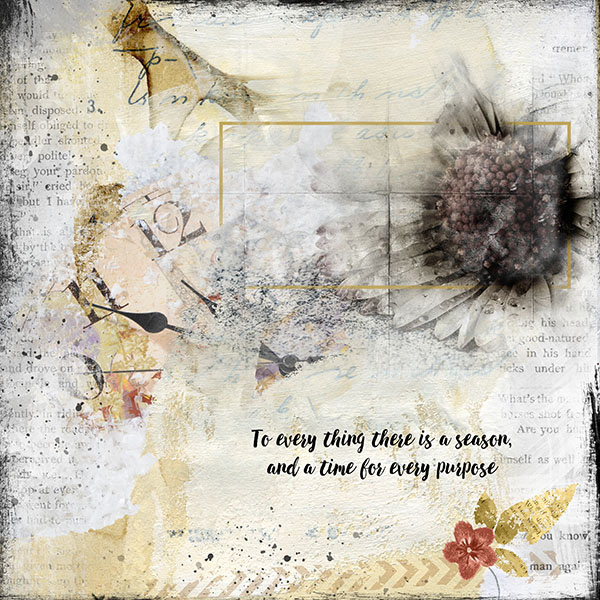 Create beautiful art journal or Spring layouts with this kit full of hand-painted papers, elements and more! Create artistic photo mask effects with this fun set of custom actions for Photoshop and Photoshop Elements (versions 11 & up)! Create beautiful layouts with these unique papers! Create beautifully blended pages with these unique geometric embellishment clusters! 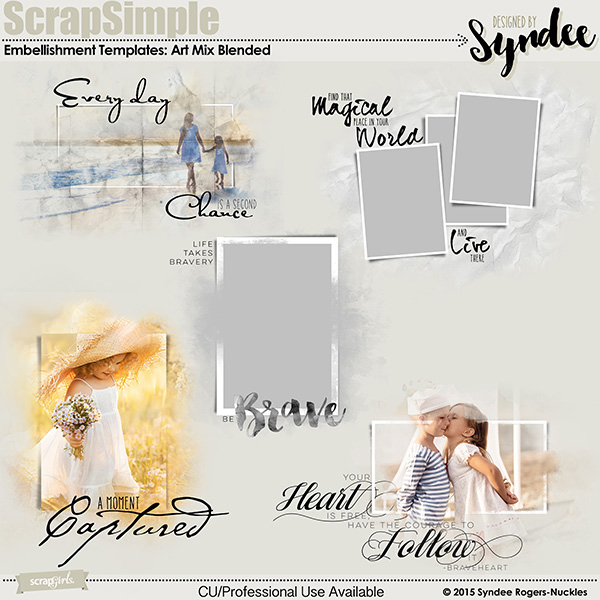 Create artistic blended layouts quickly with these unique layout templates! Create the popular die-cut look with these great alpha templates! Add papers and photos behind letters for endless variations.